Review for Invincible, Become Invincible! 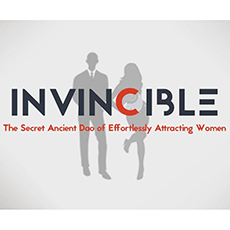 A very comprehensive and insightful program on becoming your most invincible self. Highly recommended! 1. Focuses on both the inner and outer: The inner is the foundation and the exercises in the program really help to build a rock solid foundation. The outer are strategies and techniques and provide a framework to progress ahead. 2. Total Honesty: I like that about David, there is no BS, he is honest and sincere, and will help you succeed as long as you are willing to go all out. 3. Coaching and Guidance: There is forum available to the Invincible members that allow you to share your experiences and learn from others. David is very responsive on this forum to the questions that come up. A great way to keep progressing.